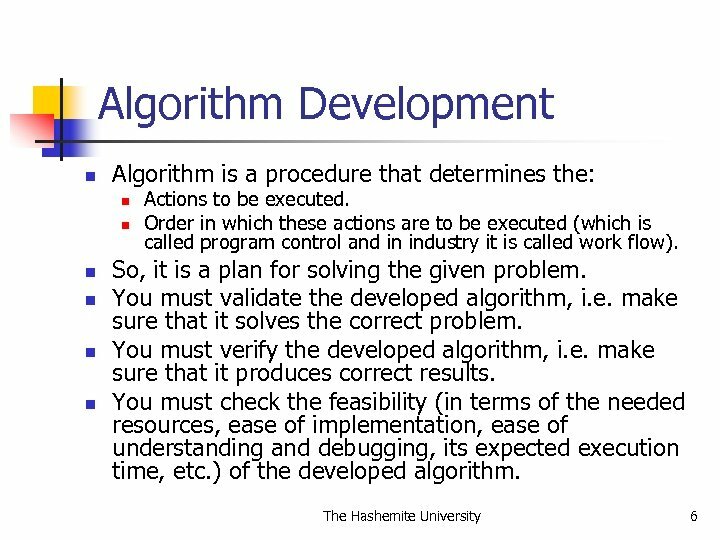 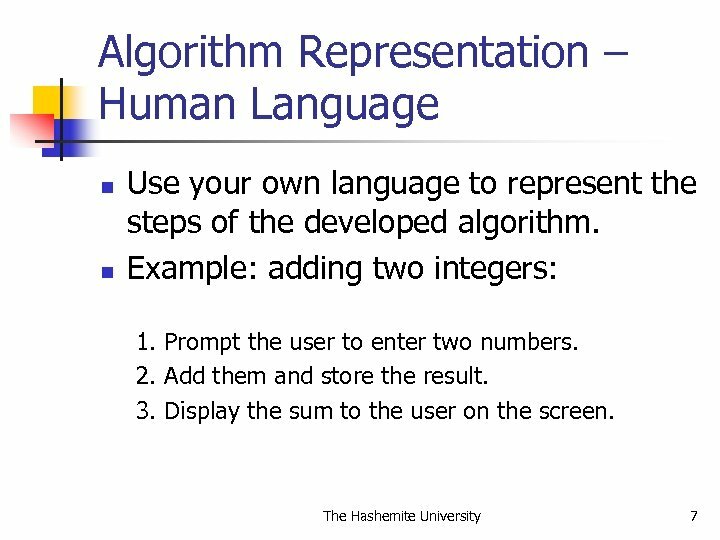 Algorithm Representation – Flowcharts n n n Represent the algorithms or computer programs execution steps graphically. 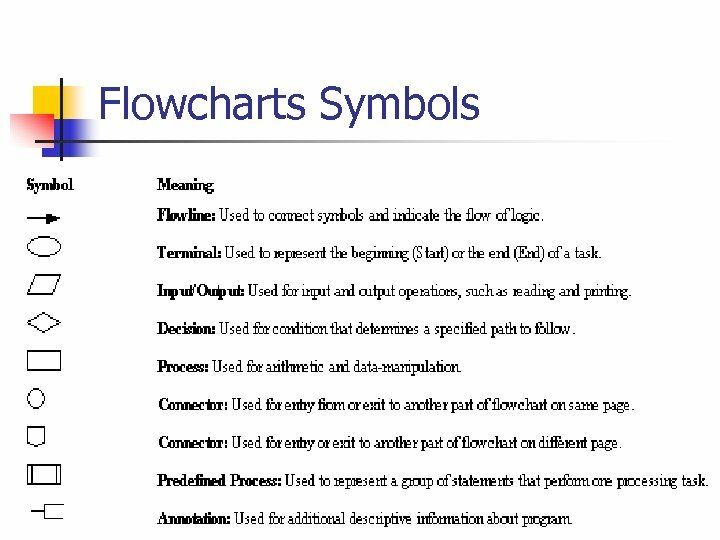 The American National Standards Institute (ANSI) published a standard for flowcharts that includes a definition of their symbols (see next slide). 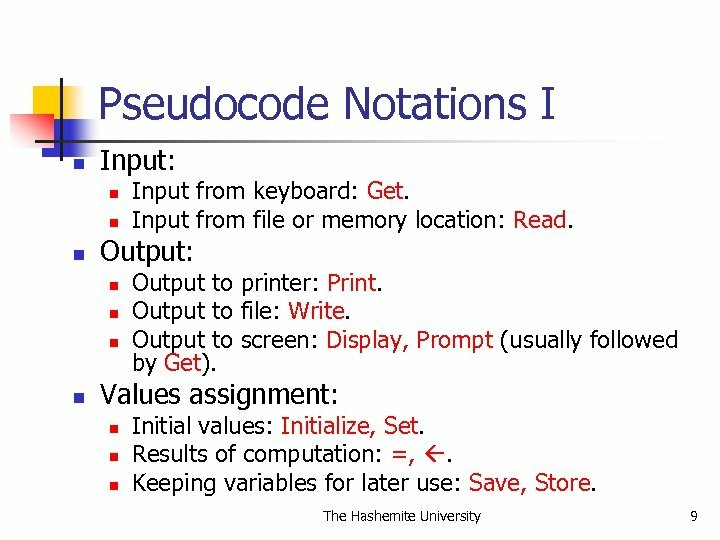 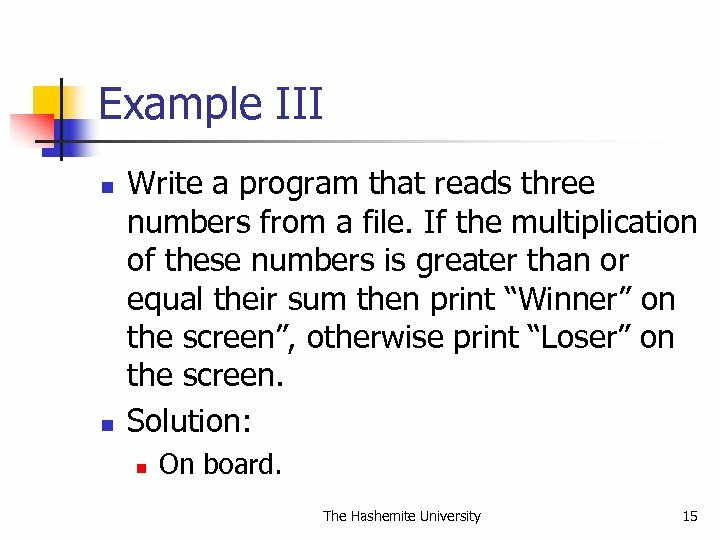 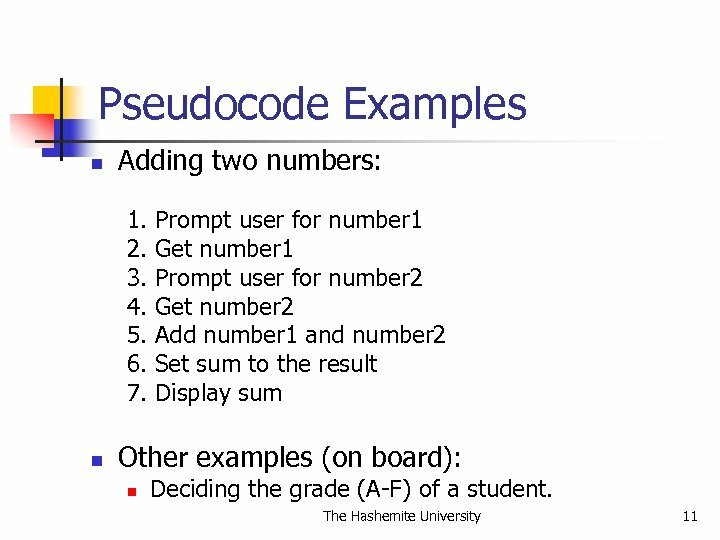 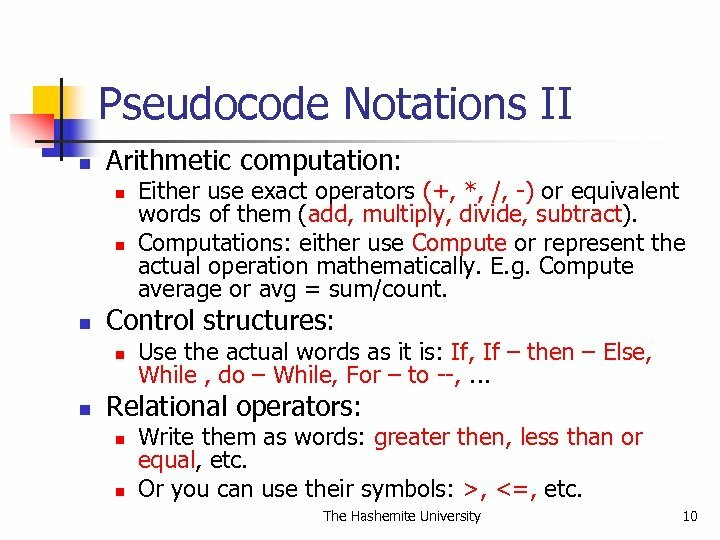 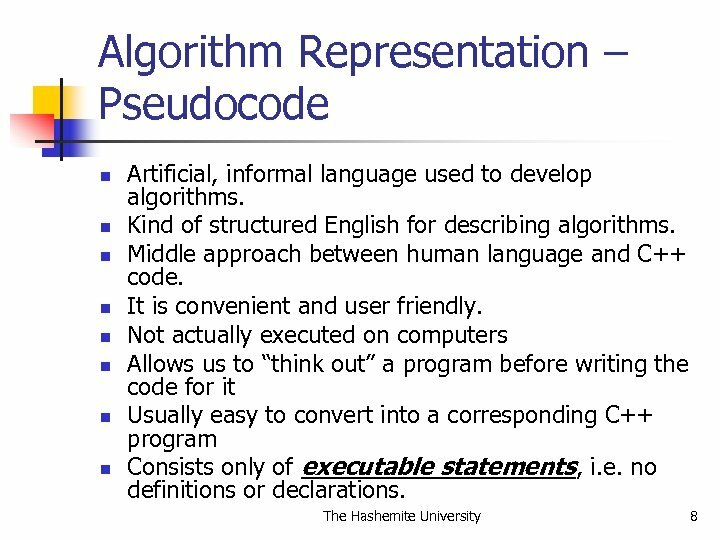 Pseudocode is preferred over flowcharts since: n n n More readable. 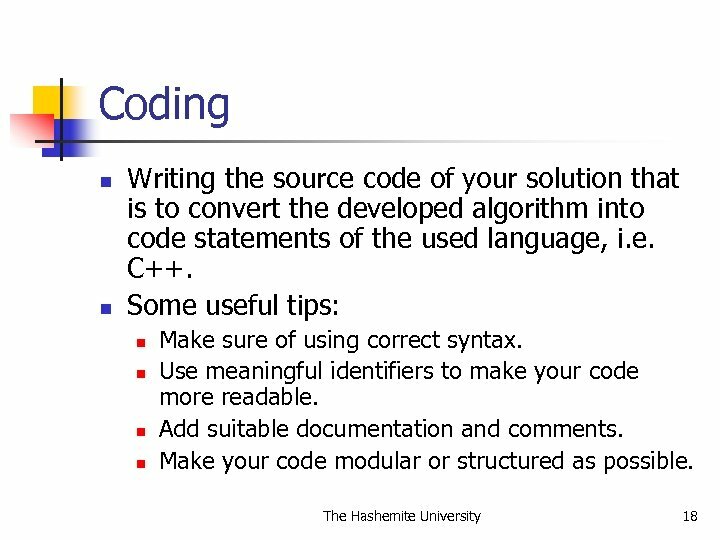 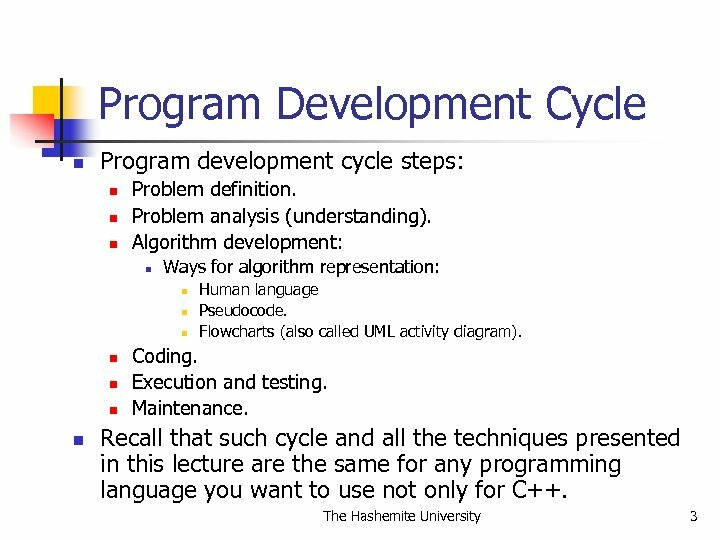 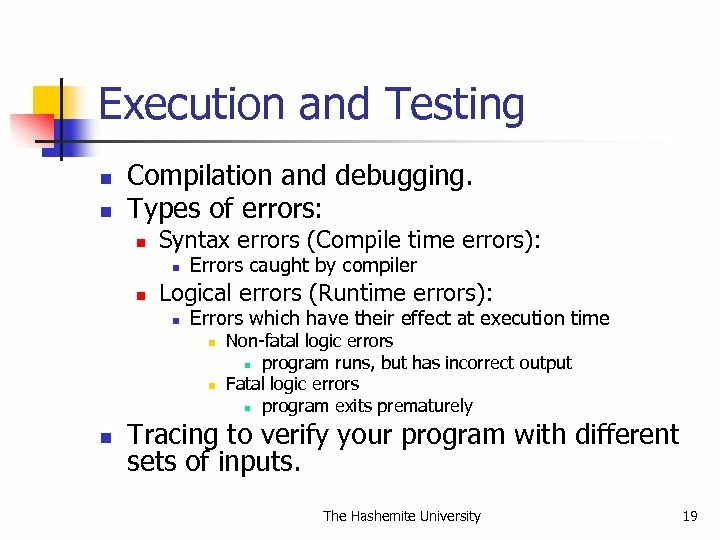 Can be converted into C++ code easier. 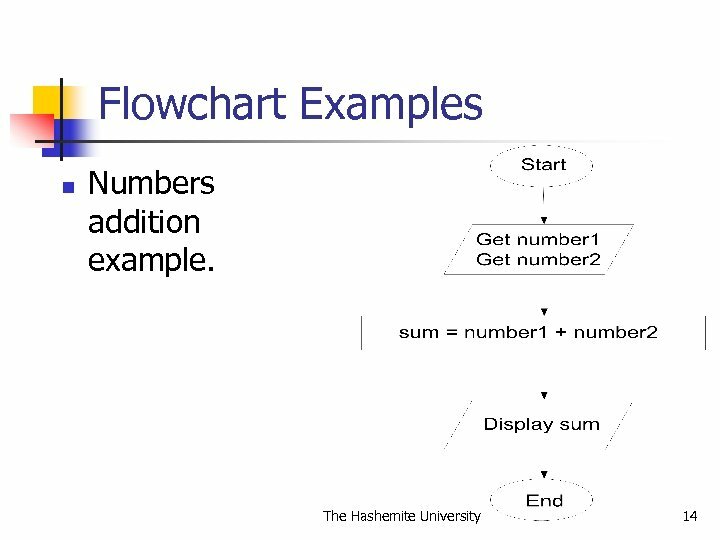 Flow charts are very similar to the UML (Unified Modeling Language) activity diagram with some differences in the used symbols. 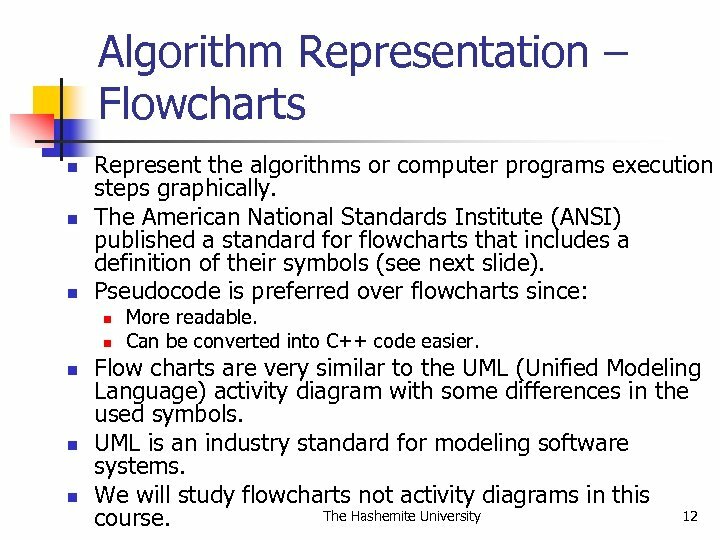 UML is an industry standard for modeling software systems. 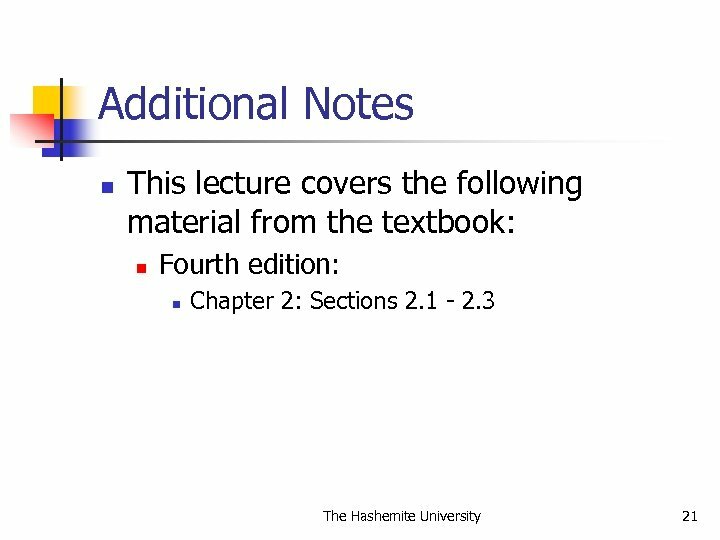 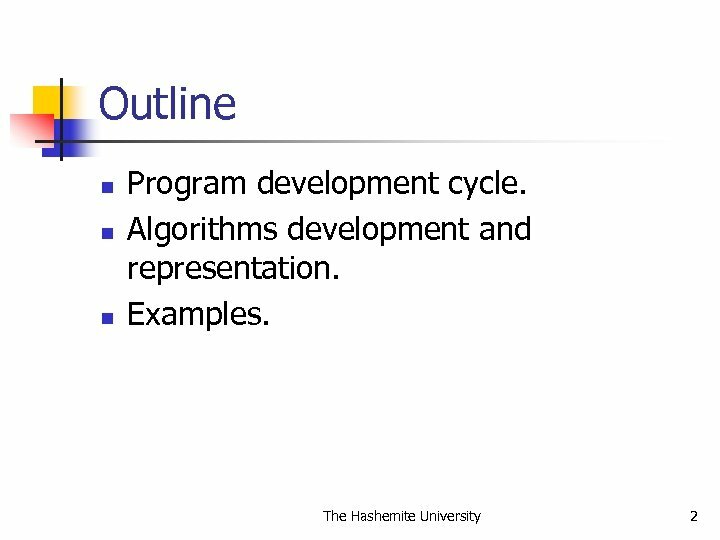 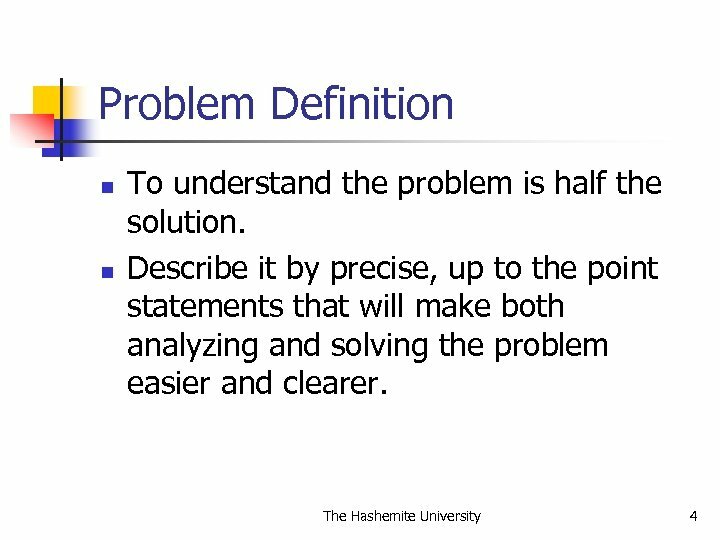 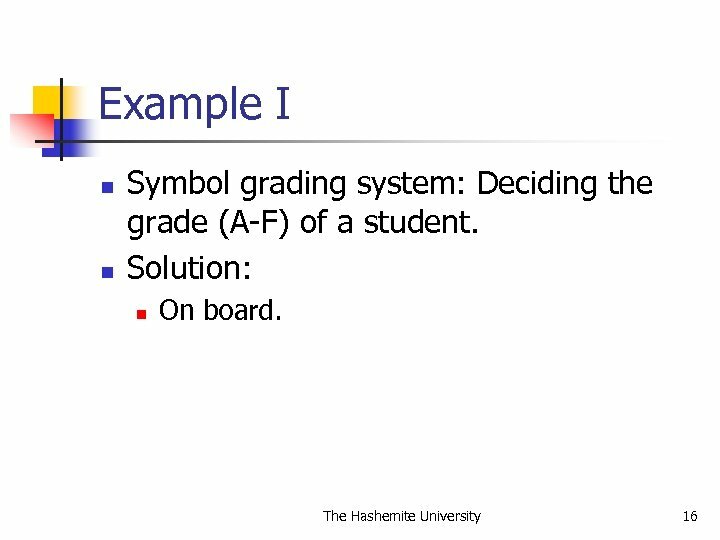 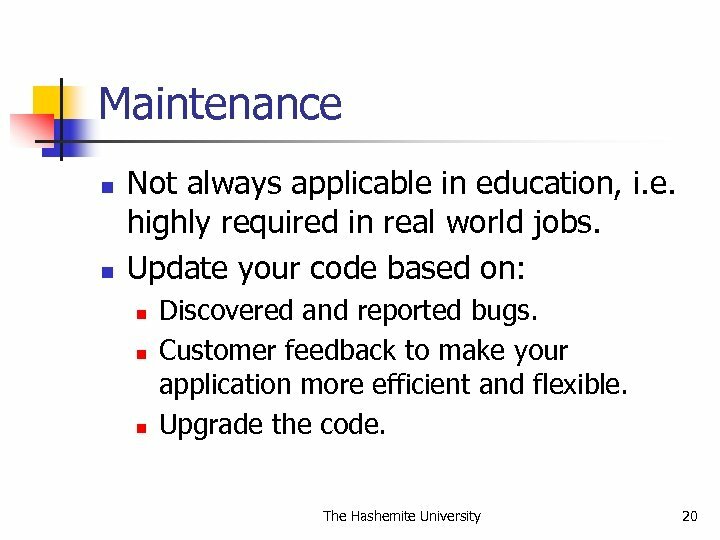 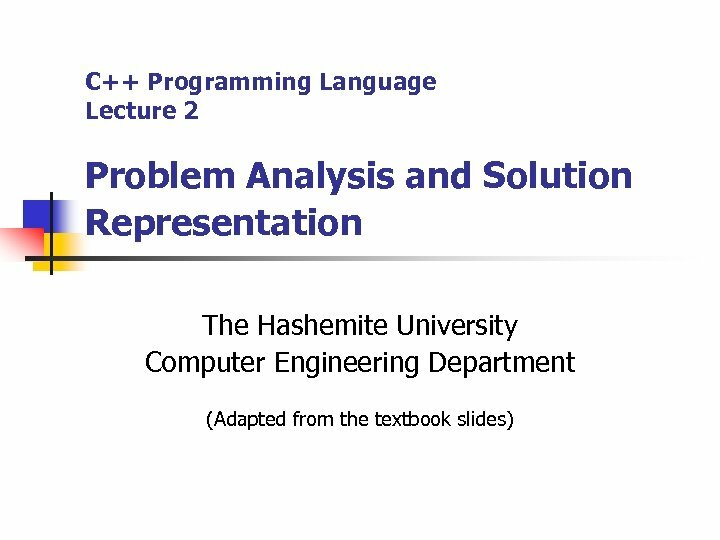 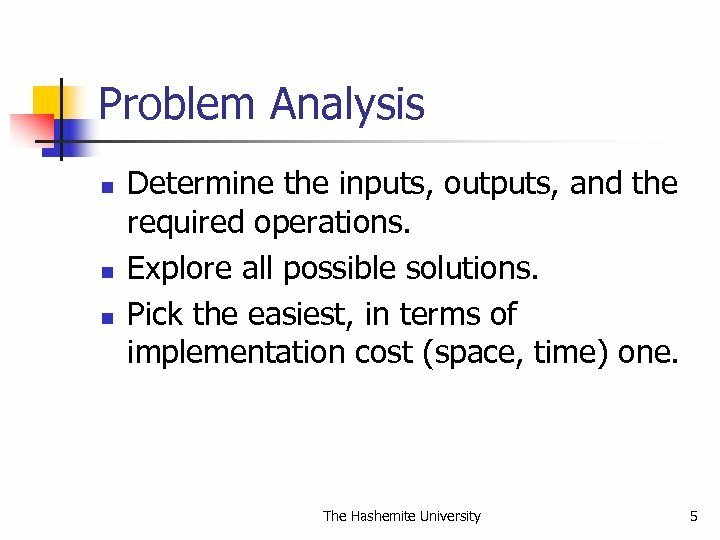 We will study flowcharts not activity diagrams in this The Hashemite University 12 course.